We know, we know, reading is fairly straightforward and not the most obvious topic to hack. You choose a fabulous book, open it, read the words and drift off into a wonderful world leaving yours alone…even if just for a moment. However reading has changed over the past few years with the introduction of eBooks, smart phones, apps, and online news feeds. Suddenly there just isn’t enough time to sit and read, there are a ton of distractions and constant demands for our attention. But do not despair, your friendly Booko team has tried and tested a few little hacks to help you find more time in your busy day to read. Audiobooks are amazing inventions; not only can you multitask while being engrossed in a book, but if you choose wisely you can have some pretty fabulous people read to you. Verbal Judo: The Gentle Art of Persuasion by George J. Thompson, PhD. Verbal Judo is the classic guide to the martial art of the mind and mouth that can help you defuse confrontations and generate cooperation, whether you’re talking to a boss, a spouse, or even a teenager. For more than a generation, Dr. George J. Thompson’s essential handbook has taught people how to communicate more confidently and persuasively in any situation. Verbal Judo shows you how to listen and speak more effectively, engage others through empathy (the most powerful word in the English language), avoid the most common conversational disasters, and use proven strategies to successfully express your point of view — and take the lead in most disputes. Decide how log you want to read for and then set yourself a timer. If you can only do ten minutes a day, that’s fine…we bet you’ll end up wanting ‘just one more page’ after the timer goes off. Another way of reading in small chunks is to tear a few pages out of your book and pop these in your bag (I know….yes we actually wrote that it’s okay to tear pages out of a book)… but if this is just too upsetting for you to even comprehend, then we suggest just sticking to a timer. It’s okay to multitask every now and then, and your warm up on a stationary bike or cross trainer may be just the place to take your mind off what’s ahead of you… just perhaps not the treadmill though. Make your own mind up as to how you feel towards the news and current events. Reading comments can often lead you to create a confirmation bias or drag you into pointless arguments. Reading nooks are not just for kids, though they do love them. Create a little space at home that you get to enjoy and feel comfortable in. We’ve compiled a number of different reading nooks on Pinterest, come and take a look here. Why not take a leaf out of the Danish ethos of Hygge – here’s one of our favourite books on it. Embrace Hygge (pronounced hoo-ga) and become happier with this definitive guide to the Danish philosophy of comfort, togetherness, and well-being. Why are Danes the happiest people in the world? The answer, says Meik Wiking, CEO of the Happiness Research Institute in Copenhagen, is Hygge. “Hygge is about an atmosphere and an experience,” Wiking explains. “It is about being with the people we love. A feeling of home. A feeling that we are safe.” Hygge is the sensation you get when you’re cuddled up on a sofa, in cozy socks under a soft throw, during a storm. It’s that feeling when you’re sharing comfort food and easy conversation with loved ones at a candlelit table. It is the warmth of morning light shining just right on a crisp blue-sky day. The Little Book of Hygge introduces you to this cornerstone of Danish life, and offers advice and ideas on incorporating it into your own life, such as: Get comfy. Take a break. Be here now. Turn off the phones. Turn down the lights. Bring out the candles. Build relationships. Spend time with your tribe. When you don’t have time to wander through a book store or library trying to choose a title, just whip out your phone. We use Booko when at a computer and Booko Buddy when we are out and about – it’s available here and it’s free! Just like Booko, Booko Buddy can quickly and easily look up the price and availability of your favourite books and DVDs. Searches can be performed by title, author, ISBN, keyword or by scanning the barcode. Once you’ve looked up a book or DVD you can pick a vendor and be linked directly to the buy page to complete the transaction. Linking is via Booko so that your purchase still supports the best price comparison engine on the Internet! You can also create and organise your own lists of books and DVDs, to buy later or to share with a friend. Every year the Premier of Victoria runs a reading challenge for children of different ages. Schools can participate, as can individuals. The Premiers’ Reading Challenge encourages children to read a set number of books and record their efforts online. It’s a great way to get young people talking about reading with their friends and pushing themselves to read as many books as they can. Whip out your book or reading device when waiting for appointments, a bus, on the tube, and our favourite…at the hairdressers! Teach your children to carry a book with them too so they can always have something to do when they are waiting… in fact one little Booko reader likes to read while she’s walking to school. There’s nothing better than having someone to debrief with when you’ve finished a book and you emerge from the literary world which is why we love recommendations so much. Asking friends for recommendations for books (or handing them a book that you’ve just finished) is a great way of broadening your range of literature and reading something that you have never picked by yourself. 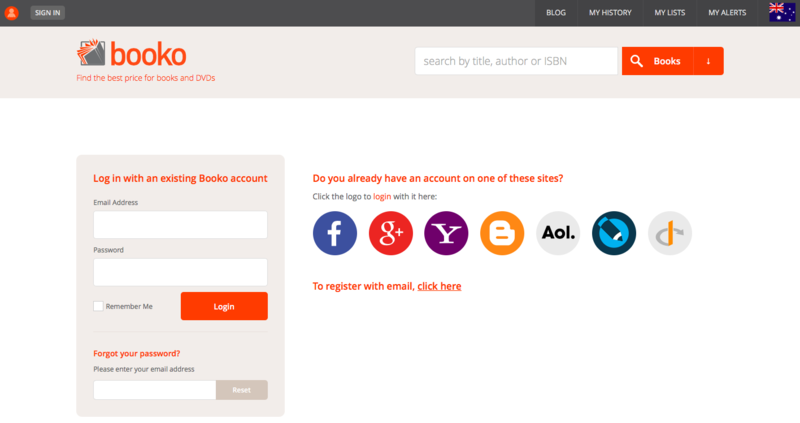 We have a page on Booko which shows our most clicked-on titles and the titles we recommend. Check them out here and here. Okay, so not a ‘hack’ per se, but it’s our best little nugget. Doing something you really love is what it’s all about, so it’s okay to start a book and then put it down because you aren’t enjoying it….just make sure you pick up another.